Pain is the body’s natural alert system. When you are injured or have another underlying internal issue the pain alerts the brain through the nervous system where the issue is so the brain can produce neurotransmitters known as neuropeptides and endorphins so that the injury or infected area can begin to repair and heal. Acute pain is directly correlated to the level of damaged or diseased tissue and the body has a natural protective reflex that makes one stop when it senses pain from an activity. 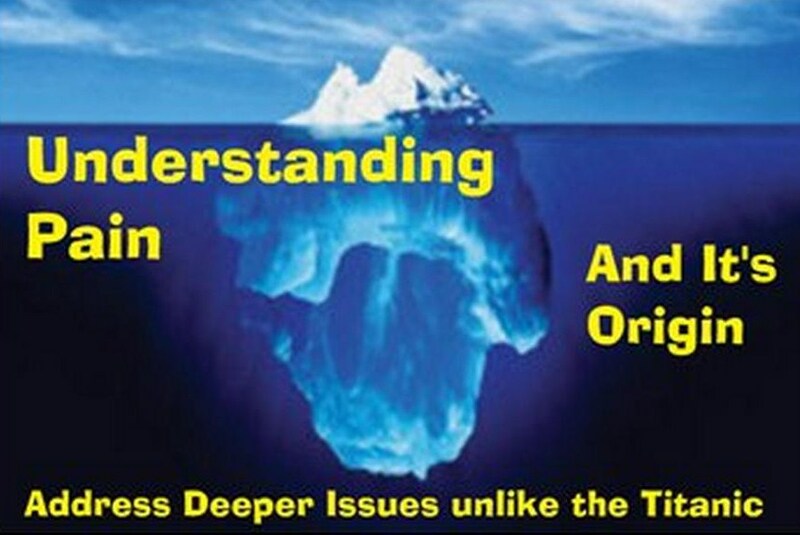 When the damaged or diseased tissue heals then the pain generally subsides. Depending on how severe the injury or internal issue is pain can persists after a reasonable healing period. This can be caused by extended use of pain medications and the age of the individual. When a young child sprains their ankle in a sport event they exit the game for ten minutes and the body’s neuropeptides go to work rapidly naturally repairing the damaged ankle. Now fast forward 50 years and a 58 year old has the same ankle issue, it will now take much longer because as we grow older our bodies are polluted with toxins, preservatives and excessive use of medications that have caused the nervous system, endocrine and immune system not to work as they did at a young age. Acute pain that continues for more than 3 to 6 months is labeled Chronic pain and even though the injury or damaged tissue has healed the pain continues. Therefore chronic pain can remain in the nervous system for weeks or months and even years and can be accelerated by stress, anxiety and lack of mobility or exercise. The body needs to be re-balanced and communication lanes between the brain and the nervous systems need to be repaired. In the 1970’s a scientist named Alexander Kerasev created a technology called SCENAR that for over 40 years has allowed the body and brain to communicate on a neuro cellular level. That technology was improved in 1998 by DENAS MS Corporation and is now known as Dynamic Electro Neuro Adaptive Stimulation. Denas devices have been used by Hospitals, Clinics and Therapist for year with great results. Through application of the device to affected area the nerve receptors in the skin transfer special frequencies to the brain and then the brain communicates to the central nervous system to address the pain or area of damaged or diseased tissue. I mentioned earlier that the younger you are the body heals faster but for someone over 50 years of age the body’s creation of these healing peptides have slowed down. Therefore the Denas device naturally gives the body the frequency that the brain and CNS needs to jump start the production of these endorphins and neuropeptides allowing the body to once again repair and heal itself naturally. Remember that therapy and results depends on severity of the pain and whether it is acute or chronic. If you have been suffering from Chronic pain for years the Denas Therapy can relieve your pain naturally without drugs or side effects and through continued therapy Denas can help the body repair internal issues, but it takes the commitment and dedication of setting aside time each day for 2- 4 thirty minute sessions. These can be in the morning or throughout the day and in the evening while you are relaxing or watching TV. No more stress about scheduling appointments. The Denas PCM4 is compact, portable and easy to use and you do not need any special medical training to operate the unit. There are many types of pain that women deal with throughout life from childbirth to everyday aches and pain. A recurring cycle of pain is menstrual pain. Depending on each individual the pain can be mild to intense. Until now they have generally used pills or herbal remedies that may have other side effects. Denas Technology is light years ahead of the USA in this field. Their specialty is Pain, any and all form of pain, Acute and Chronic. The Denas PCM 4 has a automated preset mode for menstrual pain and from clinical trials and feedback that we have had, the pain is relieved within 15 minutes, and it’s drug free. Its technology is neurological and using transmissions of electrons through the skins neuro receptor transfers a frequency from the point of pain origin, that the human brain understands. In return the brain signals the pituitary and hypothalamus to use its natural medicine chest to knock out the pain and address the internal issues that the body is faced with. Another of the body’s miracle workers are called Neuropeptides.There are many different kinds of neuropeptides with different functions. Depending on the program and what frequency the neuropeptides can effect respiratory, digestion, blood circulation, nerve regeneration, metabolism, analgesia and many more. We feel that Denas Technology and therapy is the solution to menstrual pain. With decades of documented test in hospitals and clinics with a 85% success rate makes Denas the choice of Millions worldwide. We offer a 30 day Money Back Guarantee, Free Lifetime Training and Support, Free Medical Consultation for our Customers, and Customer Service second to none. Athletes, Team Sports, Bodybuilders, MMA Fighters, Physical Therapist and Sports Medicine can benefit from this Denas technology. Scenar therapy was Russia’s athletes top secret weapon in the Olympics for decades. Used for fast muscle recoverfy from back injuries, muscle injuries, shoulder, knee and joint injuries sustained in intense competition of individual sports and team sports during the Olympics. When other athletes would be sidelined, Russia’s athletes would quickly overcome injuries through its use. In 1991 when the USSR dissolved, Scenar technology made it’s way to Australia, UK, Europe, Canada and slowly around the world. Certified as a medical device, by the Russian Ministry of Health, as safe and effective for use by doctors, physical therapist, and athletes. In 1998 Denas MS Corporation created a more advanced technology by blending Chinese traditional acupuncture with Scenar technology, along with biofeedback. Use the device during competition, at home, before and after practice, or on the road to increase your energy and recover from injuries faster. Sciatica is a condition resulting from persistent pain felt in the lower back that runs down through the buttock and into the leg. 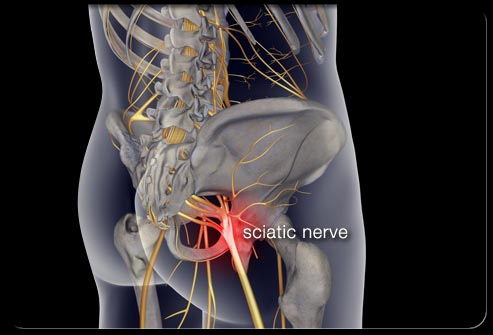 The sciatic nerve is the largest nerve in the human body and controls the muscles of the lower leg and also provides feeling and sensation through the thighs and legs to the soles of your feet. Sciatica is most prevalent in people between the ages of 30- 55 years of age. Being that Sciatica involves the sciatic nerve and inflammation caused by internal antagonist makes Denas therapy the perfect drug free non invasive answer. Through Dynamic Electro Neuro Adaptive Stimulation directly applied in the lower lumbar area and continued down the leg to the lowest area of pain, the frequency transmitted to the brain will stimulate regulatory peptides and neuropeptides to address the inflammation. The biofeedback program will communicate through the sciatic nerve and brain to generate the proper dose of endorphins and neuropeptides to elliminate the pain and allow the body to repair internally. Denas therapy is an advanced SCENAR technology that has been used in Russia and Europe for decades. Drug free, safe and effective has made it the choice of millions worldwide for acute and chronic pain issues resulting from muscle, nerve and joint disorders.